after the original French publication. A somewhat self-consciously “arty” hardback, it is illustrated with line drawings which presumably, in the 1920s, looked both decadent and sexually explicit, but which now look merely quaint and coy. The third is the Penguin paperback translated by Robert Baldick, and with the less interesting title Against Nature. At different times, I have read both the translations, but I cannot remember them as having made notably different impressions on me. 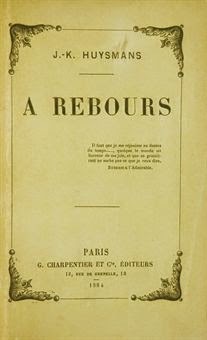 A Rebours is the book that is usually regarded as having set off the Decadent movement at the end of the nineteenth century. It is said to be the French novel that obsessed Oscar Wilde and that, a decade after its first publication, was referred to obliquely as “the yellow book” in The Picture of Dorian Gray. It is fair to say at once, however, that A Rebours is a more searching piece of aestheticism than anything dear Oscar dreamt up, and English language attempts to reflect its philosophy are pale imitations indeed. 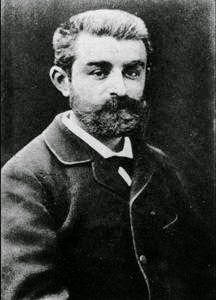 Charles-Marie-Georges Huysmans (1848-1907) was a Frenchman with a Dutch father who chose to write using a Dutch form of his name, Joris-Karl Huysmans. In literature, he had begun as a disciple of Emile Zola, turning out novels in the Naturalist documentary style, which, like Zola’s, focused on the sordid lives of the proletariat and the petite bourgeoisie. But, even though he was a personal friend of Zola’s, he came to see documented Naturalism as a literary dead end. In extreme rebellion from it, he produced A Rebours and in doing so, he chose a completely different path from Zola. By means first of Aestheticism, then of Satanism, it would lead him finally to Catholicism. Jean des Esseintes, last vitiated and effete representative of a dying aristocratic family, retires to his country house at Fontenay outside Paris. At first he plays the dandy for invited guests; but he is satiated with pleasure and with the modern world, detesting equally the political inanities of aristocratic legitimists, the money-grubbing bourgeoisie and the filthy proletariat. So he devotes himself to solitude, cultivating everything that is artificial and cutting himself off from the world outside. His servants tread in felt slippers, so as not to disturb him, on the floor above. The maidservant must wear a hood like a Beguine so that her commonplace features will not disturb him as she passes to her duties. Des Esseintes reads his books and looks at his pictures. He is an aesthetic monk, refining sensual pleasures as much as they can be refined. He detests the classical Latin of Vergil and Ovid and Horace. The Latin he loves is the Latin of Petronius and Apuleius and the Early Middle Ages, where the style is riper and richer and more sonorous and self-reflexive. In painting he admires the evocative canvases of Gustave Moreau, especially his images of Salome with their overtones of mysterious and pitiless sin. He tickles his senses with a “mouth organ” of fine liqueurs, taken drop by drop, squeezing out the last juices of taste. These, he reflects, are artificial and man-made as all the most exquisite things are. And when he fills his room with flowers, they are hybrids and products of the horticultural arts that smell sweetest and almost arouse his exhausted sexual sense with their shapes reminiscent of human sexual organs. In his visions, there is a flower between a woman’s legs. He thinks (Chapter 6) of his past in Paris – the sensuality for which he is too tired now. He once met a beautiful 16-year-old boy on the street and took him to the most expensive brothel, in the hope of corrupting him. He thought how amusing it would be to see the boy acquire a taste for vice and thus have to support himself by turning to crime. “Where is the boy now?”, he wonders wistfully. He thinks (Chapter 9) of his past mistresses. The strong-limbed American acrobat who made him feel that he himself played the part of “the woman” to her “man”. The ventriloquist who could arouse his passion by creating voices, which commanded him. And a boy he looked at with passion and longing. Then he has a vision of the pox and syphilis. Don’t all sexual relationships end in disgust and pain? He becomes ill and dulled by his chateau-bound solitude and briefly returns to the world outside. Pages of the dull, prosaic Charles Dickens give him the desire to visit London. He is about to embark. He dines heartily at a station, with the coarse ruddy faces of English travellers jostling about him. But then he recalls his bitter disappointment when he visited Holland expecting to see the country of Rembrandt and found only prosaic modernity. He has already considered that one can gain all the imaginative and sensual benefits of travel while remaining at home. So he decides to leave inviolate the London of his imagination. He returns to Fontenay. His stomach is now more upset. His sleep is more broken. Long ago he discovered that opium and laudanum and hashish nervously excited him without creating visions. Illness creeps over him. He considers the style of modern Catholic literature, and condemns most of it as pietistic and propagandistic trash. Only a few pages of the Catholic controversialists strike the right stylistic fire. And the Satanic vigour of Jules Barbey d’Aurevilly, a stallion among Catholic geldings. But to be Satanic like that, one must have real faith, for blasphemy means nothing without belief…. What of de Sade? The squabbling local urchins disturb him when he sits in his garden. Why does the church condemn the means which the rich use to prevent conception? Those means should be used to prevent further disgusting human beings from coming into the world. Abortion should be encouraged. The human race is vile. The Philosophic Pessimism of Schopenhauer used to be a consolation to him, but it has lost the power to console. He is sick. He cannot digest food. His senses are sharpened, but undiscriminating. What will survive of modern literature among all the scribblers and drivellers and coarse panderers to bourgeois pretensions? Baudelaire, of course, a true voyager of the soul. And Mallarme. And Verlaine. A few, a very few, others. The doctor comes. The doctor orders him to return to life. Des Esseintes is filled with horror at having to accept the inevitable. To return to Paris is to return to the vile congress of humanity bowing before Money and Commerce. Where the Church should provide an answer, it too has bowed to Commerce. Perhaps he has a real affinity with monks? The only music he really likes is plainsong. He will return to Paris and to life. And that is where A Rebours leaves him. Thus far I have summarised for you as thoroughly as I can the “narrative” of this discursive, reflective essay of a novel. I regret that I have left out the episode where des Esseintes accidentally kills a turtle by loading its shell down with precious stones, but I am sure you are already exhausted by my summary and were beginning to ask when it would end. But now we come to my own reflective part. What does A Rebours add up to? In one sense, this is a conscious and deliberate act of intellectual masturbation – for solitariness is the essence of masturbation and this is a book about striving for solitary pleasure and gratification. Yet it is a masturbation of the mind. 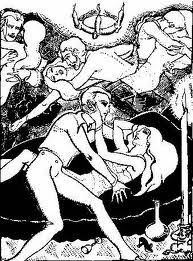 Frequently in A Rebours sexual exhaustion is hinted at, an over-indulgence in brothels in des Esseintes’ past life is suggested, and there is a great sexual ambiguity in his remembered sensuality (Chapters 6 and 9). There appears to be a passive homosexual strain here. Des Esseintes remembers beautiful boys. And he remembers women who have dominated him. But he lacks the force to act. It is easy to see The Decadence implicit in this whole book. Oscar Wilde must have picked up his sensual, heartless, sinful image of Salome in his play from the analysis of Moreau’s painting in Chapter 5. Implicit in the whole book, too, is Huysmans’ own future development as both man and novelist. The Satanism of Jules Barbey d’Aurevilly, leads directly to Huysmans’ later novel on Satanism La-Bas (1891), which I may cover in a later blog. But Huymans’ clear awareness that Satanism itself requires religious belief leads even further to his eventual conversion to Catholicism as outlined in his novels En Route (1895) and L’Oblat (1903). Seen in this perspective, A Rebours is simply a staging post on a journey that the author had already mapped out. Does it in fact show a man simply delaying the day when he will eventually be converted? (“Oh Lord, make me a saint… but not yet.”) Or is he simply looking for a dandyish style in which to express himself After all, Marius the Epicurean eventually ended as a Christian too. 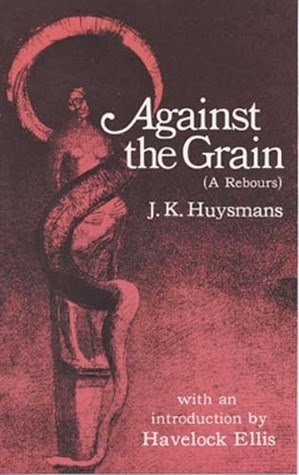 The modern literature that most appeals to Huysmans in A Rebours is that which withdraws from the world or lives in the mind or evokes past worlds. He speaks kindly of the Flaubert of Salammbo, and of a little of Daudet and a little of Zola, while Balzac is clearly remembered with delight. Hanging over all is Baudelaire (and Poe), whose poems adorn des Esseintes’ walls. 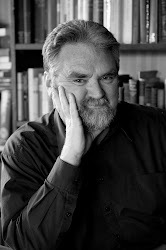 The prose-poem form is particularly admired and much of A Rebours is itself like a prose poem – or a series of them. Sensual dithyrambs alternating with literary criticism. But in the end, what does it all say? I think a postmodern reading of the book is perfectly permissible, detaching the author from the narrator whom he has consciously created. Huysmans is NOT des Esseintes. The tastes and hatreds and contempts of des Esseintes are tendencies in Huysmans, but they are tendencies he is resisting. After all, for all des Esseintes’ aestheticism, the novel leads to a rejection of the attempt to separate oneself from the world and live solitarily. The detestation of humanity, so frequently and so poisonously expressed, is balanced by the novel’s final recognition that we have to accept life, have to be part of society and mingle with our fellow human beings. HOW we do this is really the big question mark at the end. In this sense, Huysmans explores and then rejects mental masturbation. Living by one’s senses alone is shown to be insufficient – and to underline the point, the novel shows vividly how the senses are also the bearers of intense pain. Four of the novel’s most vivid pages are des Esseintes’ recollection of toothache and a painful tooth extraction. The novel has the effect of clearing the ground for future growth, rather than being an end in itself. Miss Havisham’s draperies are ripped aside and the daylight allowed in. At the very end, des Esseintes is realising, in daylight, the unsatisfactoriness of colours which he had admired in candlelight. Dare one say that Oscar Wilde, and others of Huysmans’ British admirers and imitators, became stuck at the stage of development through which Huysmans had already passed? Perhaps they didn’t realise that Huysmans was diagnosing a disease, not laying out a map for exploration. There is a very modern application for this eccentric and unique novel. The craving for what is artificial – in art, in literature, in flowers; the rejection of the wild and natural growth - is this not the point that early 21st century art and literature and cinema have now reached? Every film (highbrow or popular) now makes reference to films that have gone before it, reference to set genre being more ubiquitous than direct reflection of the world. The postmodern novel is more concerned with modes of narration than with the substance of the narrative. Extensive literary borrowing and allusions are compulsory in novels with pretensions. Have we in fact reached our own form of Decadence and will the term Postmodern come to mean much the same thing in another century? But one thing is very different. Nobody would now be drawn into the Catholic Church by the bewitchment of its unique art.